“Give the gift that shaves face” with the 100% natural shave system. 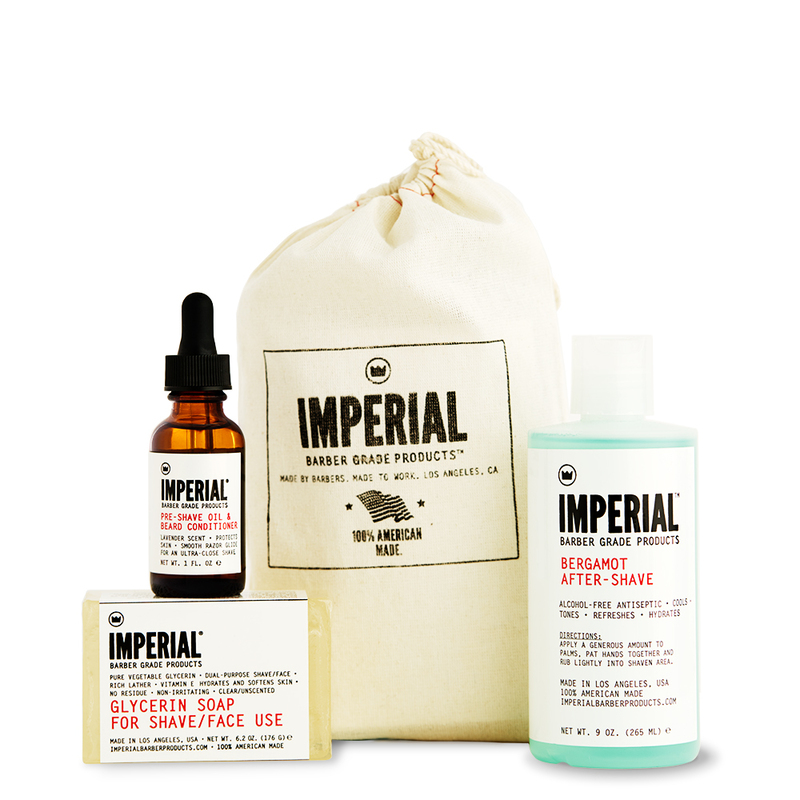 Utilizing the highest cosmetic-grade natural ingredients, the Imperial SHAVE BUNDLE is the perfect gift for any man. 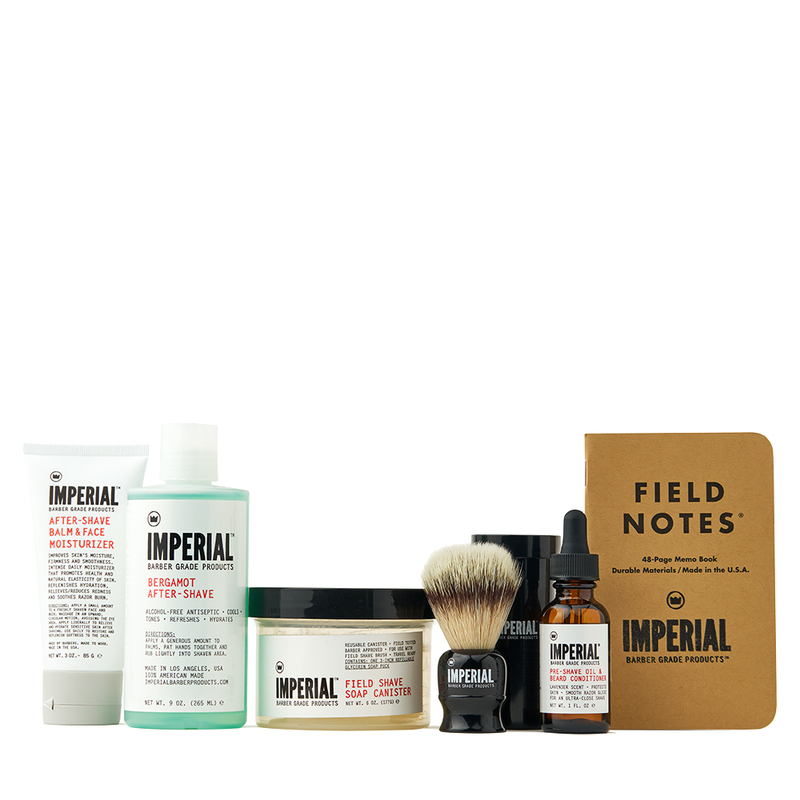 Aside from a non-electric razor and a face, this kit comes with everything you need to start shaving. First, our PRE-SHAVE OIL & BEARD CONDITIONER helps protect the face from nicks and cuts. It softens beard hairs before shaving to make it easier to shave and allows the razor blade to glide easily. It also works well as a daily beard conditioner to keep it feeling soft and healthy. 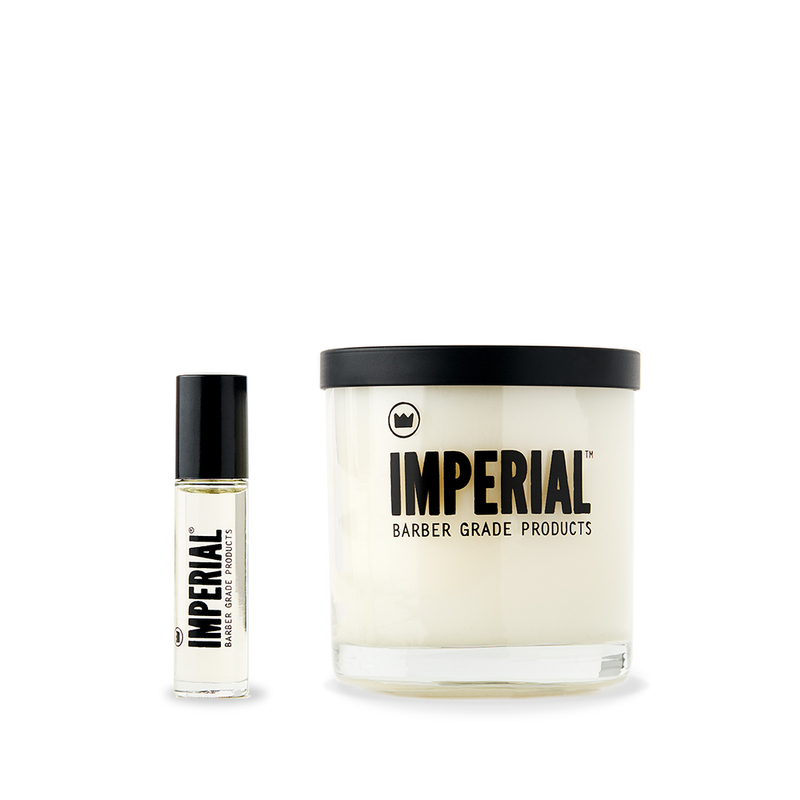 PRE-SHAVE OIL & BEARD CONDITIONER can also be used on its own as a shave oil. Next up, we have our dual-purpose GLYCERIN SHAVE/FACE SOAP (BAR). To use as a face wash, lather the soap in warm water with your hands and apply onto the face. 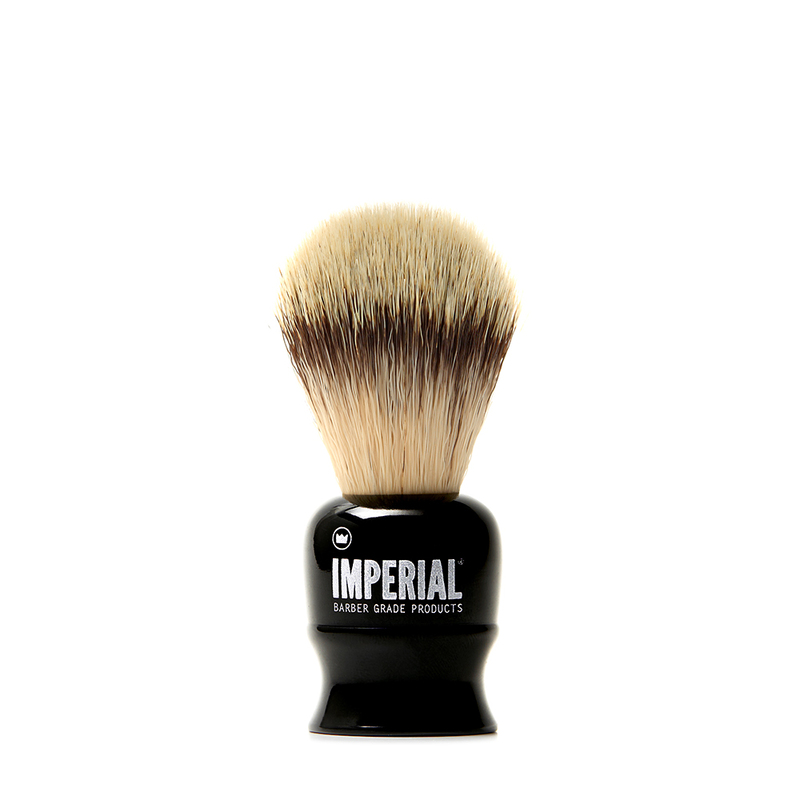 For traditional wet shaving, create lather with a shave brush and brush onto face before shaving. GLYCERIN SHAVE/FACE SOAP (BAR) is clear, unscented, and made with natural ingredients – best for all skin types, especially sensitive skin. 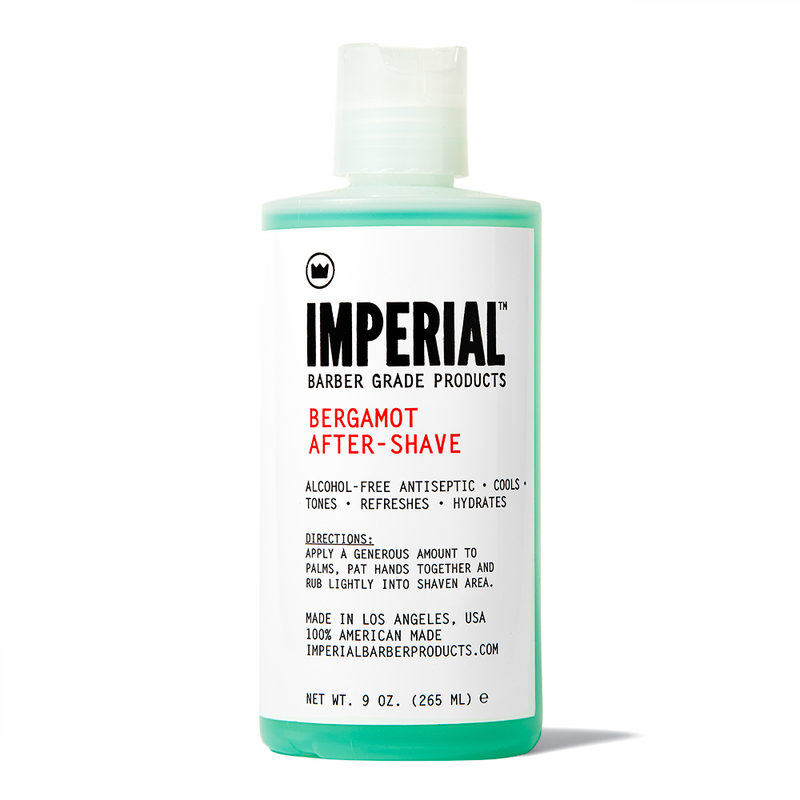 Finally, use our BERGAMOT AFTER-SHAVE to restore balance to your face and soothe any nicks or irritation to the face. This alcohol-free aftershave works great on all skin types, especially sensitive skin. The bundle also includes our Five-Step Shave instructional card in a reusable muslin drawstring stash bag. Add our AFTER-SHAVE BALM & FACE MOISTURIZER to round out your daily shave regimen and keep that face looking and feeling smooth.